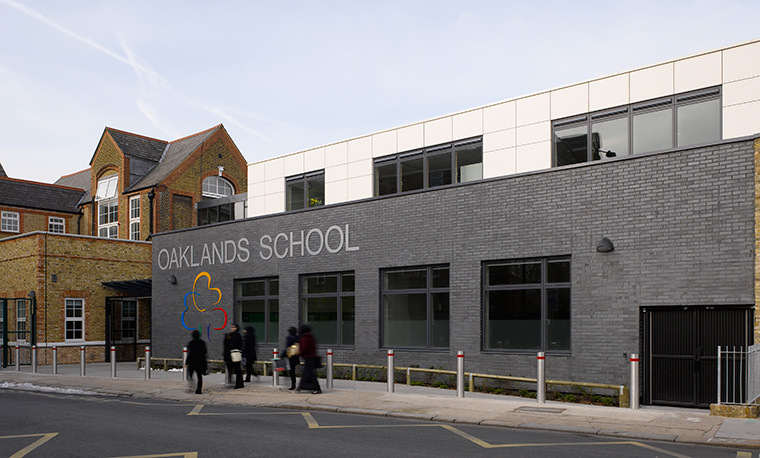 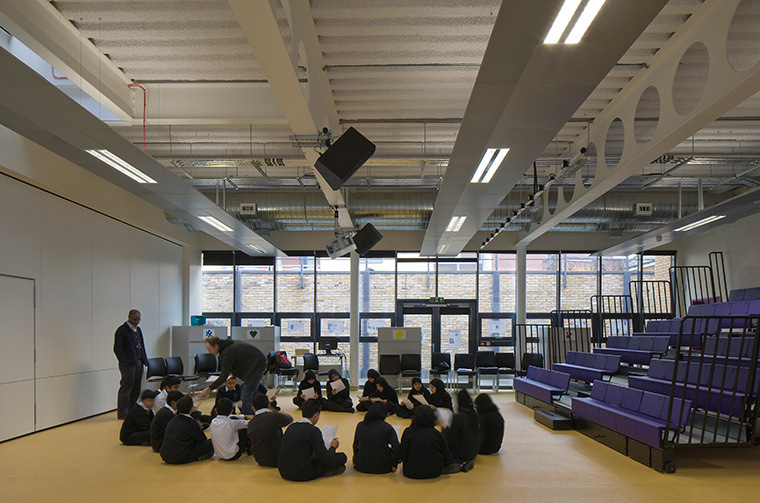 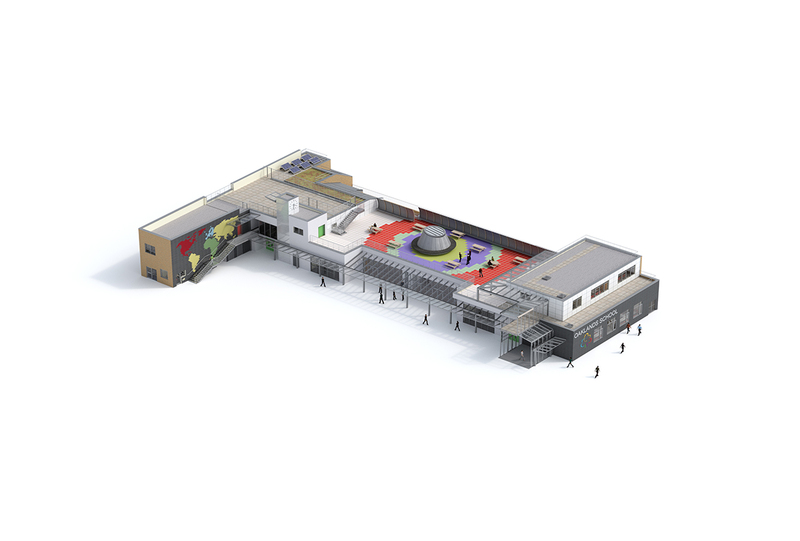 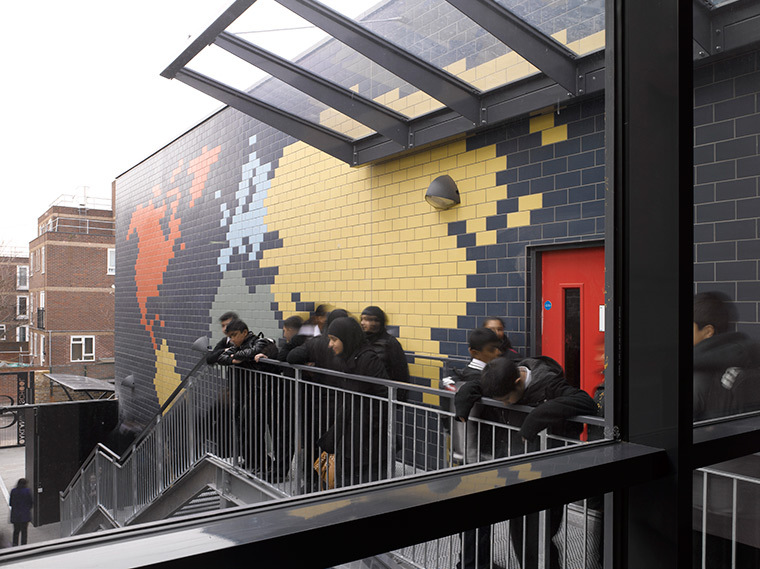 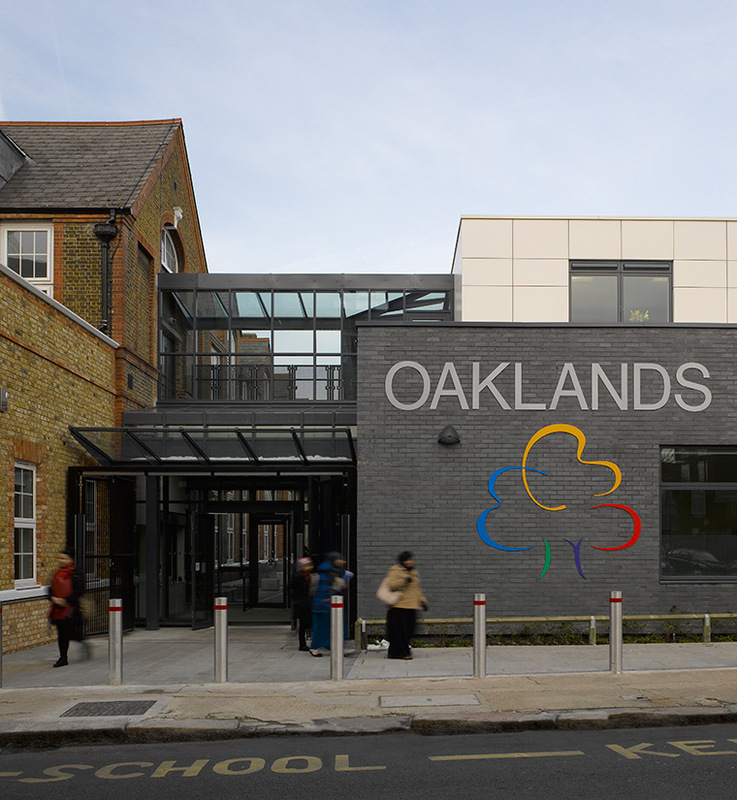 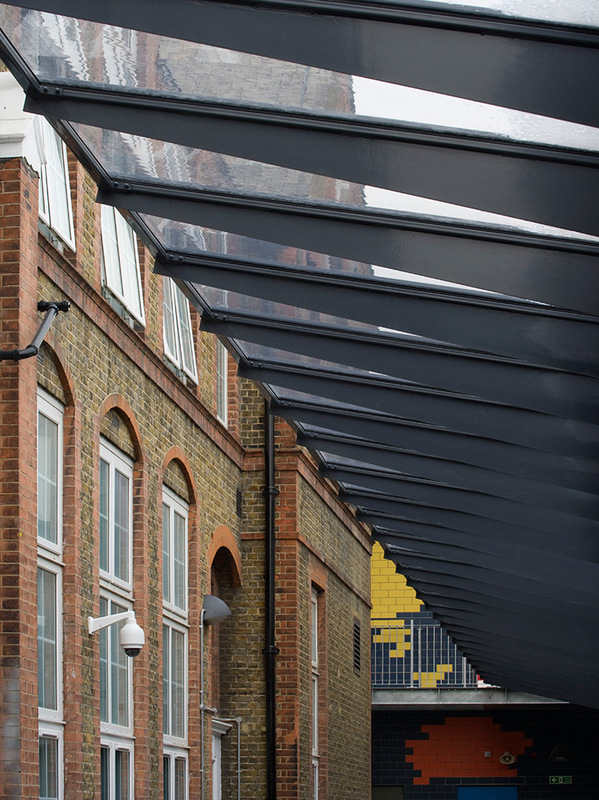 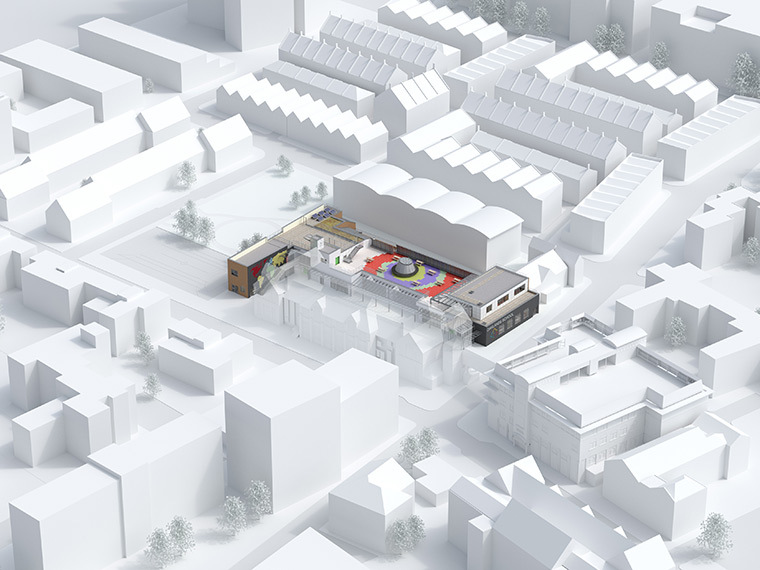 This project comprises a new two-storey building as well as the comprehensive refurbishment of two existing buildings including a locally listed Victorian one, providing accommodation and improved teaching spaces for 600 secondary school pupils as part of Tower Hamlets’ secondary education building programme. 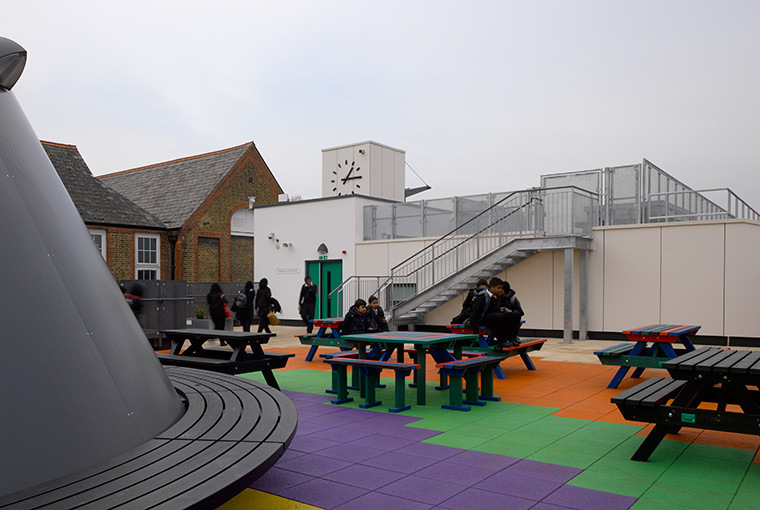 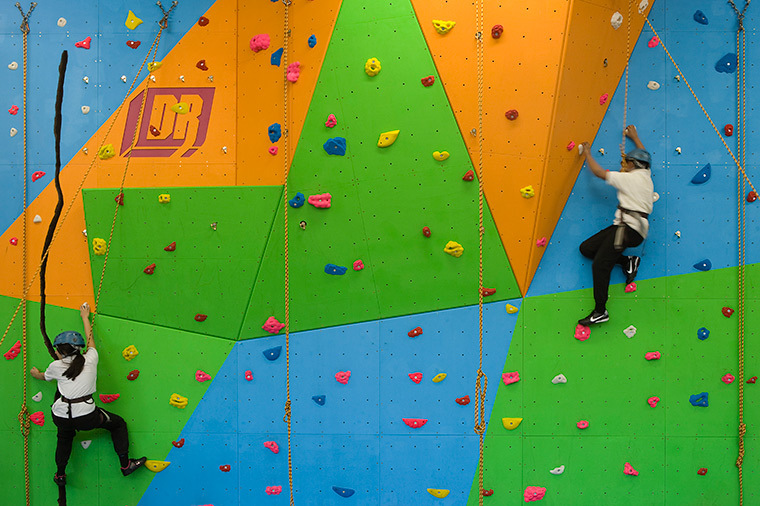 Rooftop playgrounds and a covered ‘street’ between buildings maximise the potential of the tight urban site. 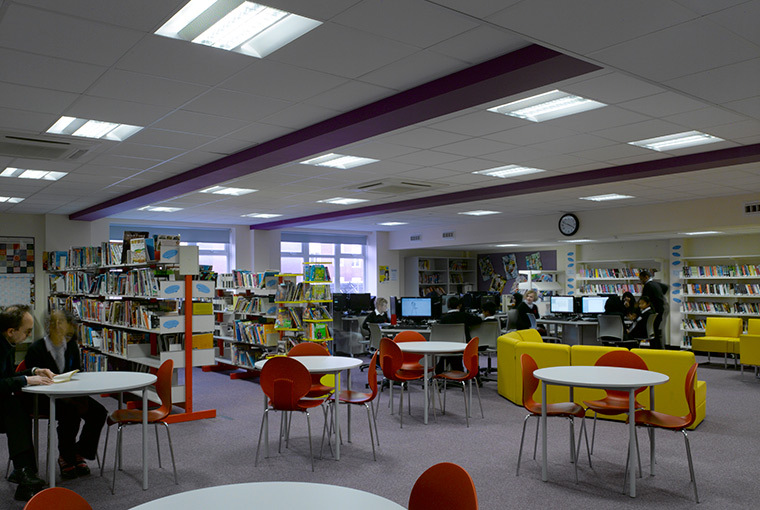 Completed on time, in four phases, the school remained operational throughout. 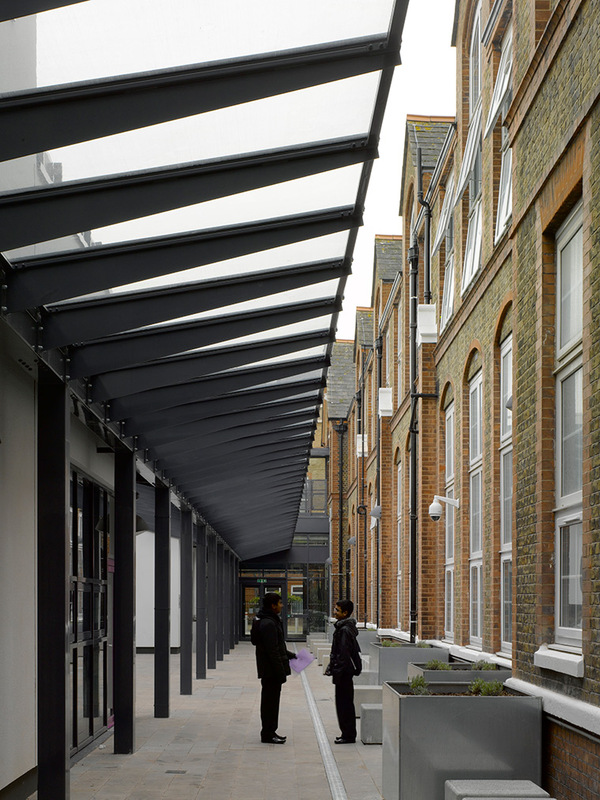 Gross internal floor area – 1,740sqm new build, 5,600sqm refurbishment = 7,340sqm total. 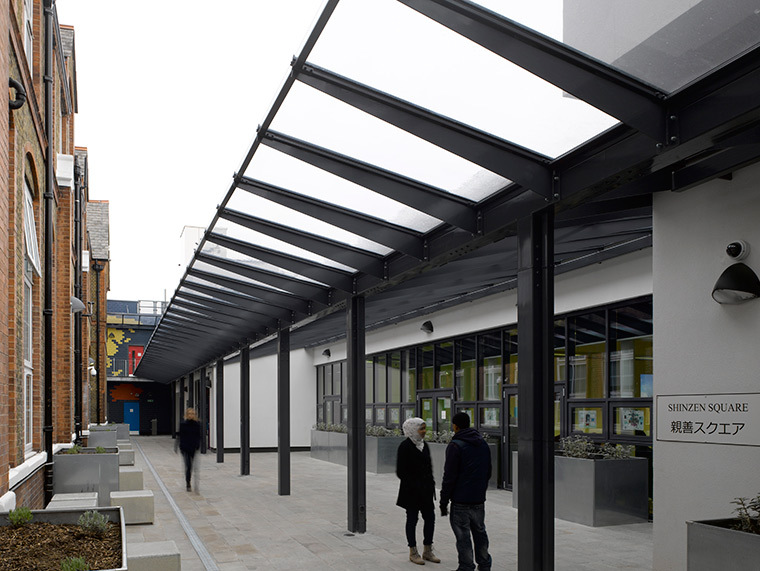 Sustainability rating – BREEAM Excellent for new building, Very Good overall.